Judging from their citizens’ middling levels of support for and satisfaction with democracy, both Korea and Taiwan are still far from democratic consolidation. Challenge and Change in East Asia: Is Democracy the Only Game in Town? In three of the six democracies surveyed by the East Asia Barometer, a majority of respondents prefer democracy to its alternatives. In the other three, however, a lingering nostalgia for authoritarianism stands in the way of democratic consolidation. 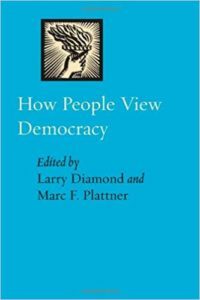 Some skeptics have asked whether ordinary people possess an understanding of democracy that allows them to evaluate it as a form of government. 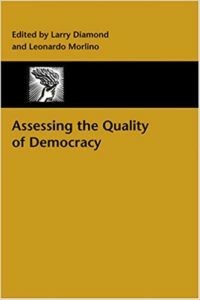 Our research yields three generalizations about popular understanding of democracy. No serious student of democracy can afford to be without this book. It offers an original and comprehensive view of what citizens around the world think as democracy's global "third wave" prepares to enter its fourth and perhaps most challenging decade.